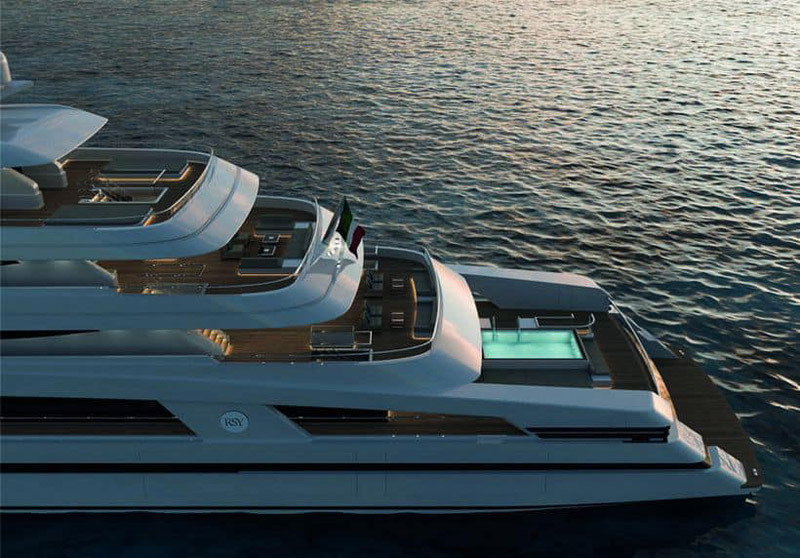 Italian shipyard Rosetti Superyachts used the occasion of the Palm Beach International Boat Show to officially unveil two new superyacht concepts, both designed by Tommaso Spadolini. 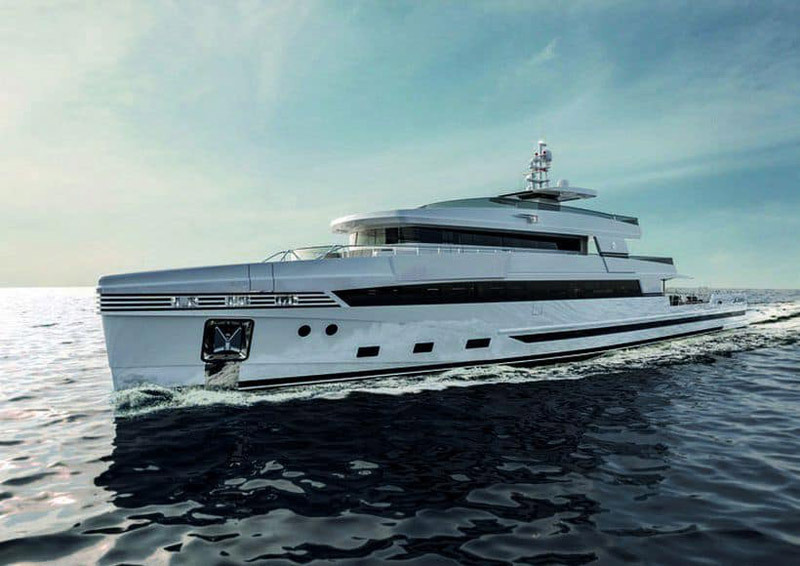 The Rosetti 48-m concept is a more compact version of the 85 metre concept revealed by the yard back in November 2017. Key features include an aft deck that measures almost 18 metres long, giving enough space for touch-and-go helicopter operations. 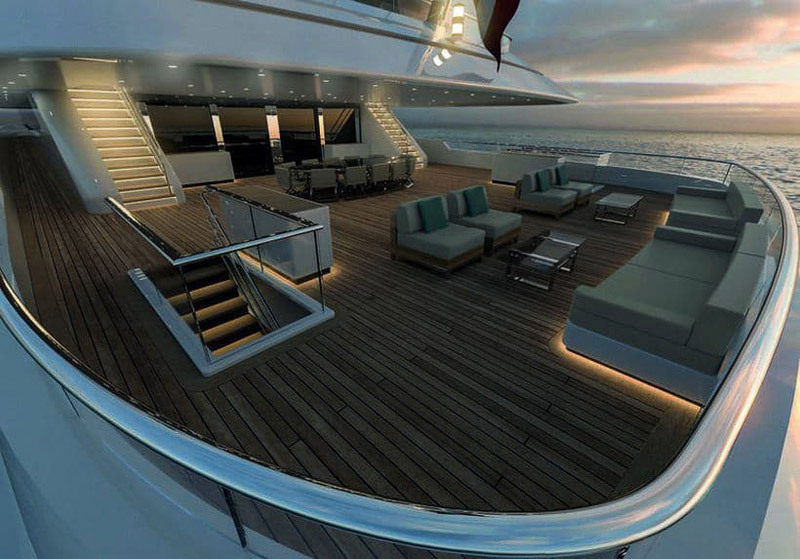 In its superyacht guise, this space would be dedicated to an infinity pool instead. Accommodation is for up to ten guests split across five cabins, including a master suite that can be situated on the main deck or the upper deck — the latter option includes a private aft deck. 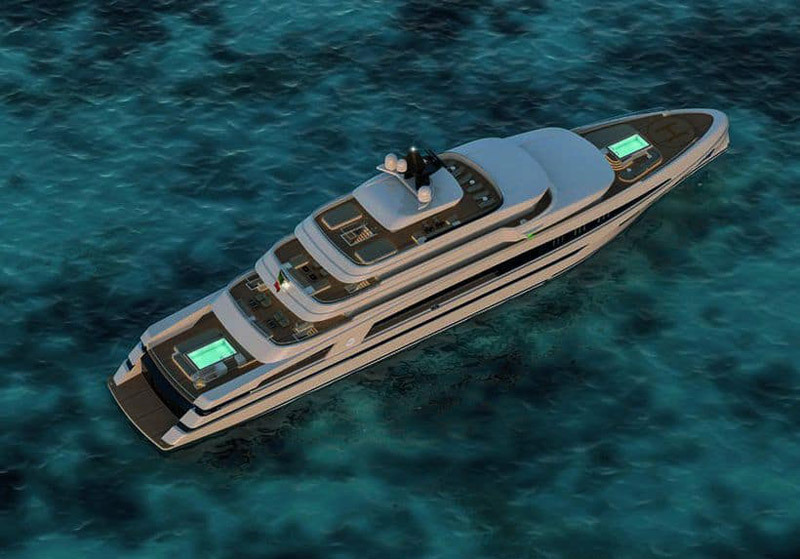 Rosetti has placed a strong emphasis on operational efficiency, with particular attention paid to crew circulation. For example, the captain’s cabin is adjacent to the wheelhouse, the engineer’s cabin sits alongside the engine room and there would be a dedicated laundry room on the lower deck. Power would come from twin-screw diesel propulsion system, with both Caterpillar and MTU versions available. Rosetti estimates a top speed of 16 knots and comfortable cruising at 14 knots. 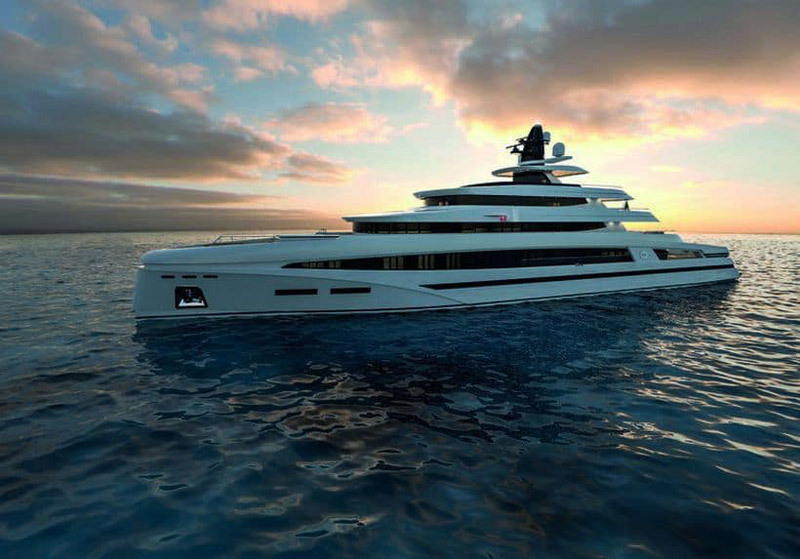 With a gross tonnage of 2,700gt, the new 85-metre concept is based on the same technical platform by Rolls Royce as the 85-metre Supply vessel, with minor modifications and a sleek exterior design. Although the new 85m has seen a reduction from the extensive aft deck shown on the original 85m concept, there is still a huge amount of exterior guest space both on the aft deck and forward deck of the vessel. 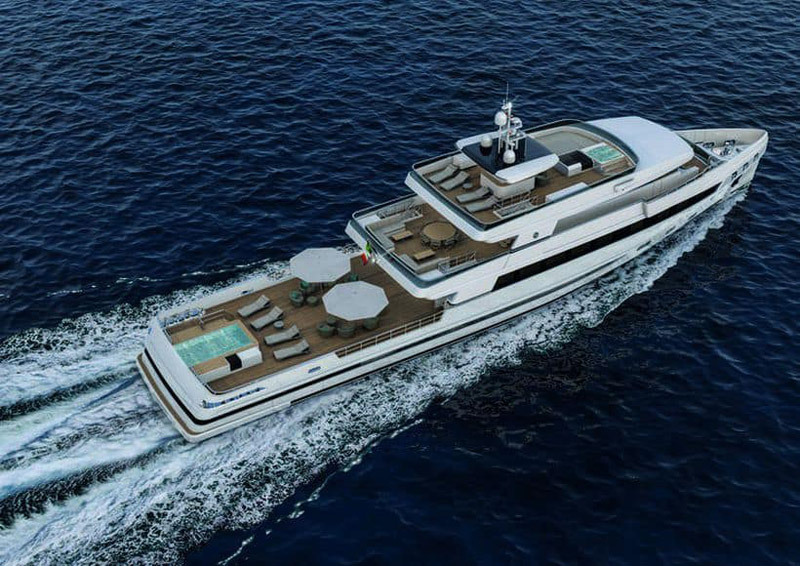 Another crucial consideration by the shipyard is to keep noise and vibration down to a minimal level, therefore the 85m has a diesel-electric propulsion package comprising of four MTU 16V 4000 M43S engines combined with two Rolls Royce Azipul thrusters that will give the yacht a top speed of 20 knots and a range of 5,500 nautical miles.